Here’s a great example of a collaboration demonstrating the positive results that can be achieved when a community works together to serve individuals with one or more developmental disabilities. Last night, several individuals served by Imagine! graduated from a Boulder Police Department Safety First Course. 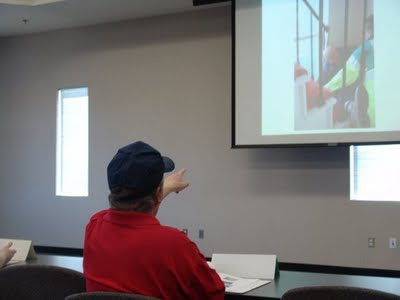 The free course is designed to provide safety tips to adults with developmental disabilities who live and work in the community. The curriculum of the program covers decision making skills, street-smart safety, home security, fire prevention, and safety on public transportation. 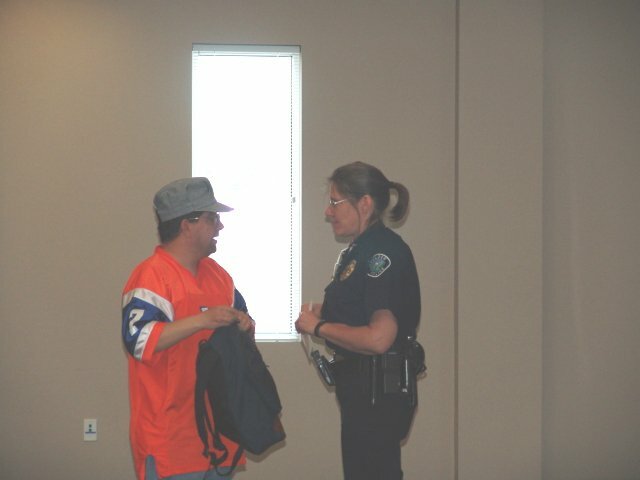 Safety First for Adults is taught by Boulder Police Officers using a combination of lecture, small group, and hands-on activities. 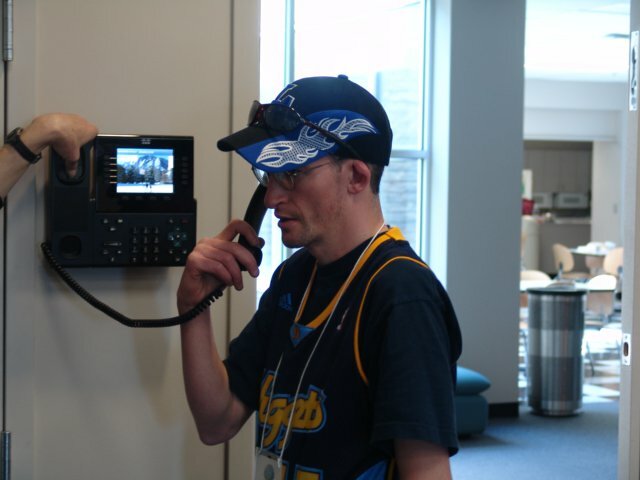 In the past 15 years, more than 200 individuals served by Imagine! have attended and graduated from the Boulder Police Department’s Safety First course. You can see some pictures of the latest class members below. Congratulations to everyone involved, and thanks to the Boulder PD for hosting this valuable course! Lana answers a question about when you should call 911. John practices calling 911 on a cell phone. It’s different than a land line phone as you have to push the green “send” button. Casey points out a safety concern in the photo on the screen.